Visa-free entry into Russia proposed for UEFA Euro 2020 fans | Russian Legal Information Agency (RAPSI). MOSCOW, September 25 (RAPSI) – Two bills on holding the 2020 UEFA European Football Championship in Russia guaranteeing in particular visa-free entrance to the country for fans has been submitted to the State Duma, the government’s statement reads. The bills are aimed at creation of legal basis for the realization of guarantees of Russian authorities to the Union of European Football Associations (UEFA) and support of the UEFA Euro 2020 matches in Russia. One of the proposed initiatives would ensure visa-free entry into Russia for fans and ordinary humanitarian visa entrance for volunteers. The 2020 UEFA Euro viewers would be also given a right to free transport ride. The draft law also attaches the right of UEFA as the sporting event’s organizer to establish obligatory rules for selling and using football match tickets. 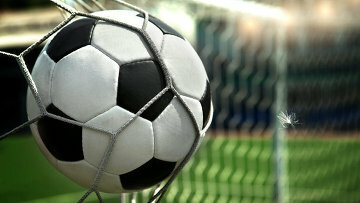 The Russian Football Union would moderate the Euro 2020 games pursuant to a deal concluded with the UEFA. Moreover, the bill stipulates the Russian government's power to approve a preparation program for the UEFA Euro 2020 including a list of infrastructure facilities and events. Another bill has been prepared to realize Russia’s tax relief guarantees associated with preparation and holding of football matches. The initiative envisages legal taxation control with respect to the UEFA Euro 2020 similarly to the regulation of the World Cup 2018 and FIFA Confederations Cup 2017. The draft law is temporary and will be applied till December 31, 2020. The 60th anniversary Euro will take place in 13 European cities and countries in 2020. The second largest city of Russia, Saint Petersburg, was given a right to host 3 group stage matches and one of the cup’s quarterfinals.